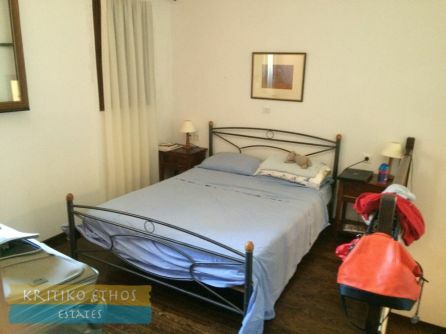 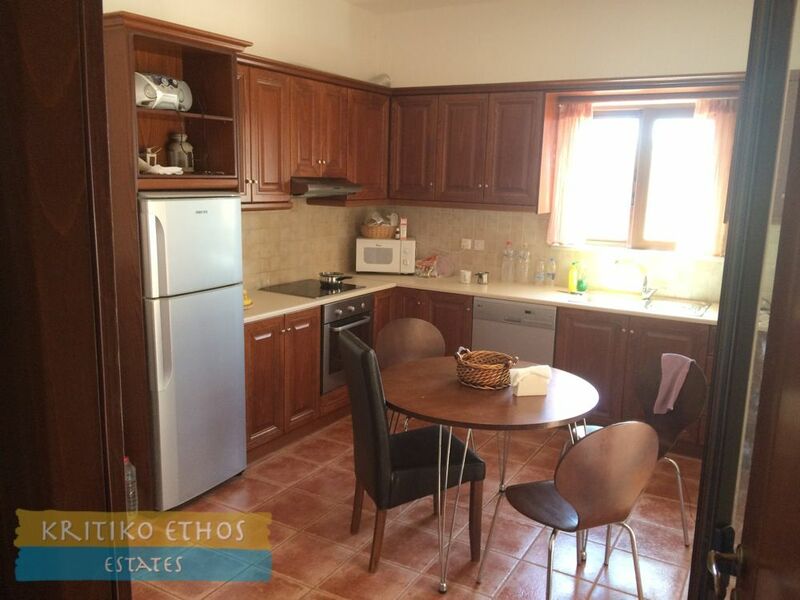 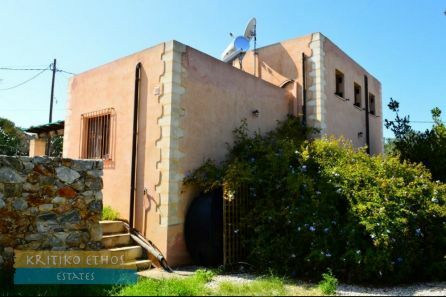 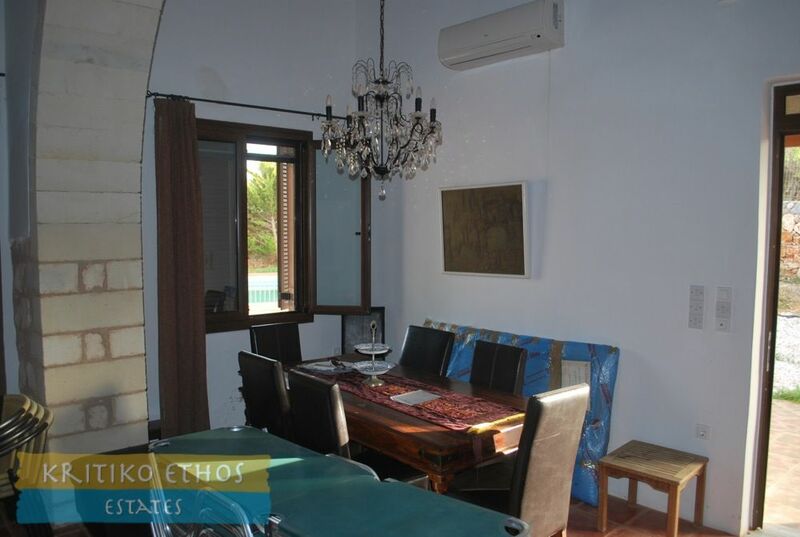 This very warm and comfortable three-bedroom home with private pool is situated in the traditional village of Kefalas, just a short walk from the village plateia. The comfortable 600 sqm plot is easily maintained and has been partially landscaped. 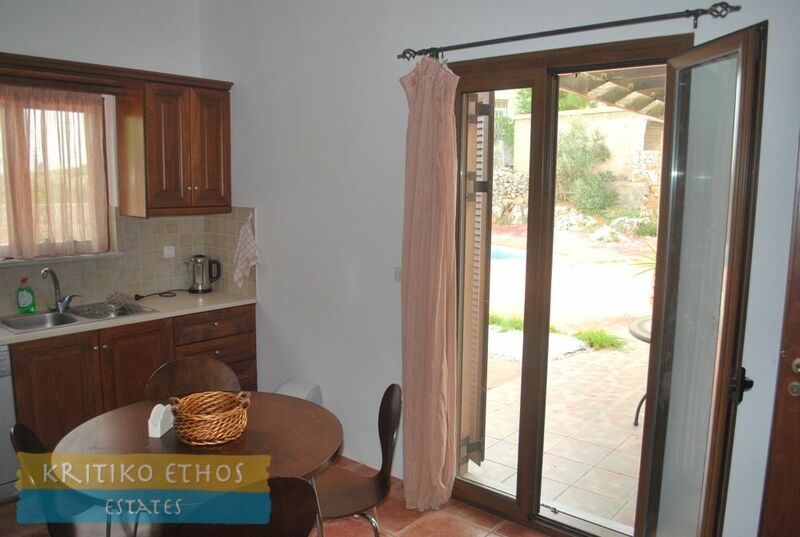 The home offers large exterior tiled spaces for outdoor enjoyment. 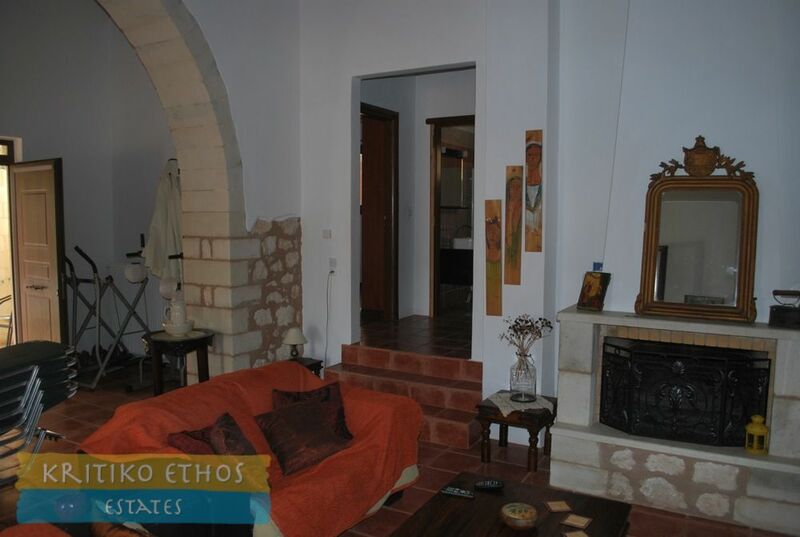 The home comprises a large open plan sitting and dining room with a stone fireplace and French doors leading to the pool terrace. 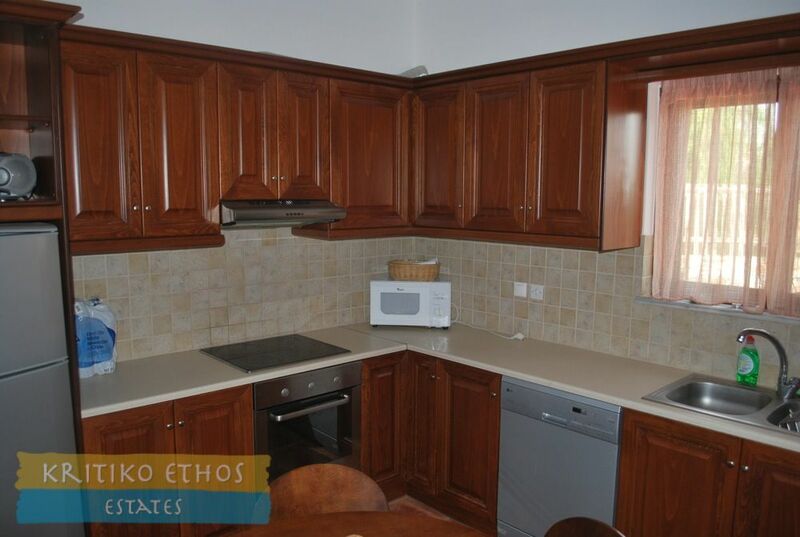 The spacious fully-fitted kitchen has plenty of cupboard and worktop space. 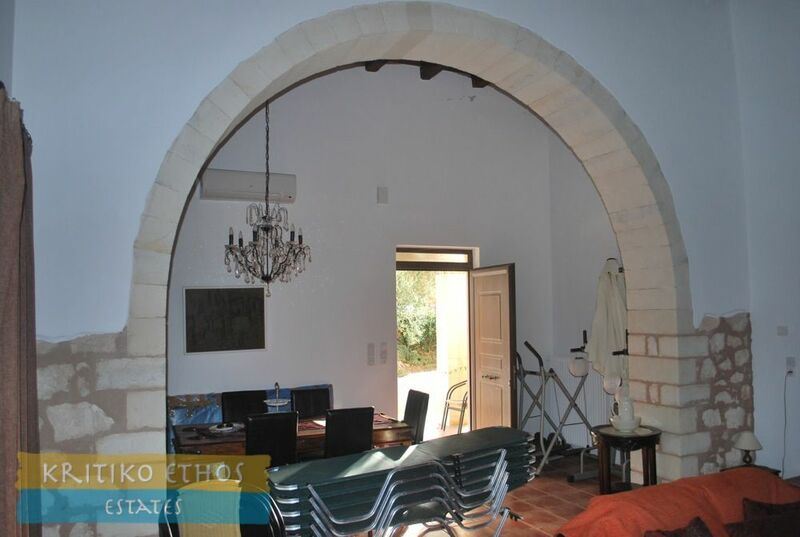 A broad and high stone arch separates the dining area from the sitting room and kitchen and a second arch is situated at the entry to the mezzanine bedroom accessed by a wooden stairway. 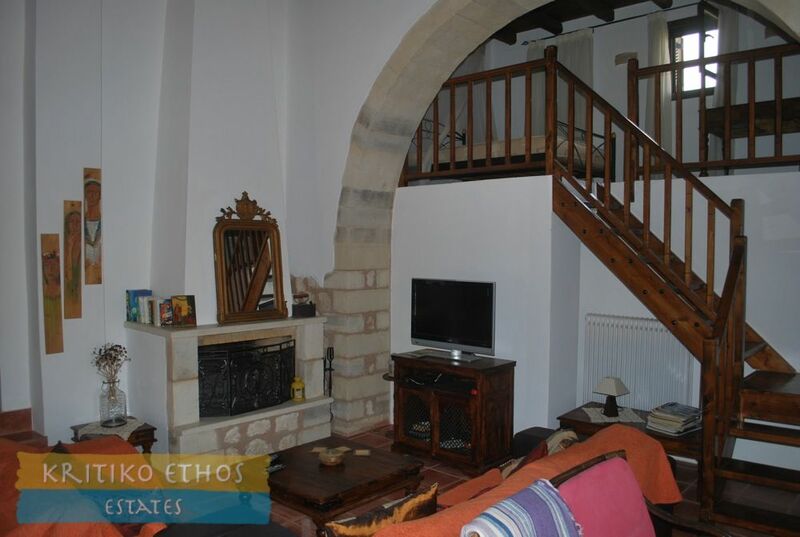 Three stone steps lead from the rear of the sitting room to the master bedroom and a further guest bedroom. 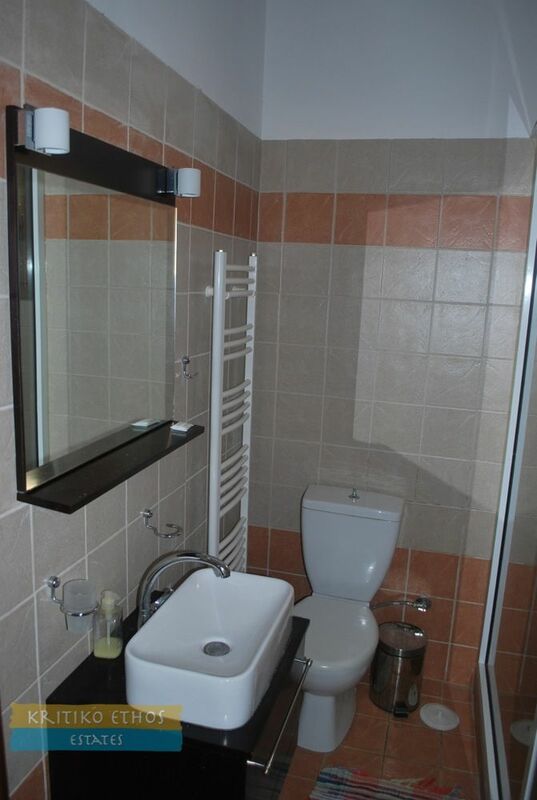 The master bedroom has an en-suite bathroom complete with full length bathtub and a heated towel rail. 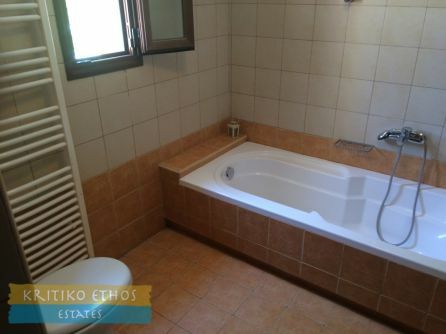 The large family shower room is also situated on this level. 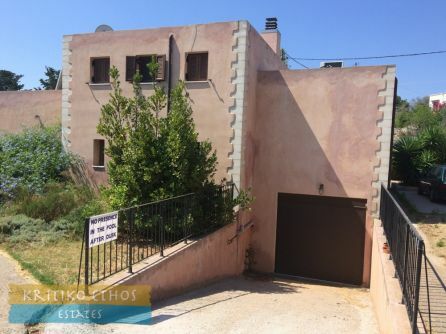 An enclosed garage it situated at a lower level behind the home and houses the central heating boiler. The home features traditional wood-beam ceilings. 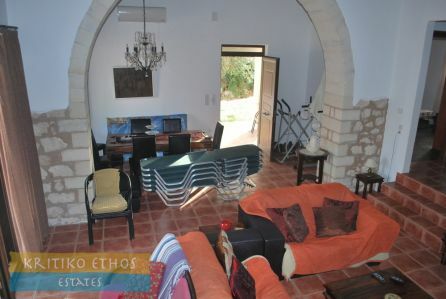 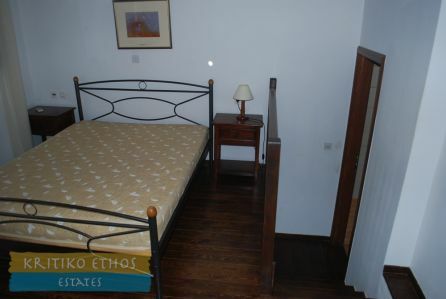 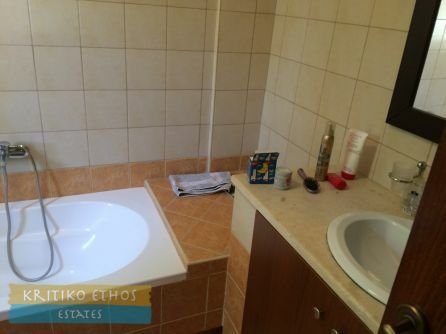 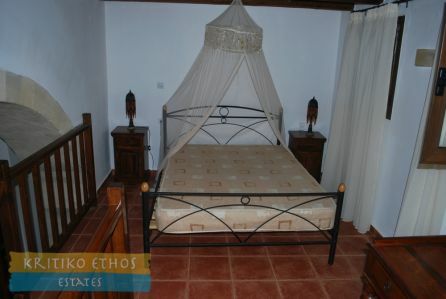 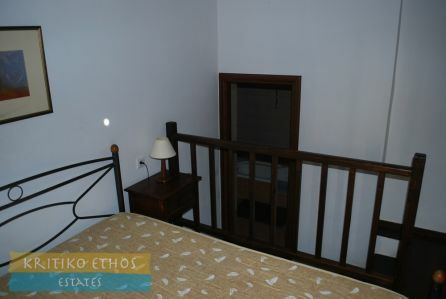 This is an ideal permanent residence in Crete, located so close to the wonderful and pleasant village of Kefalas. And of course with its large 61 sqm swimming pool (with child's section) and low-maintenance garden, it would make a fantastic holiday home! 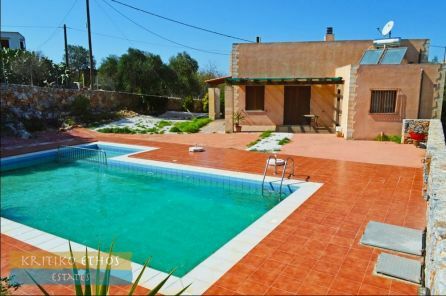 Plus the home is situated just a few minutes' drive from the fabulous swimming and snorkeling cove at Ombrosgialos (see photo in the gallery).